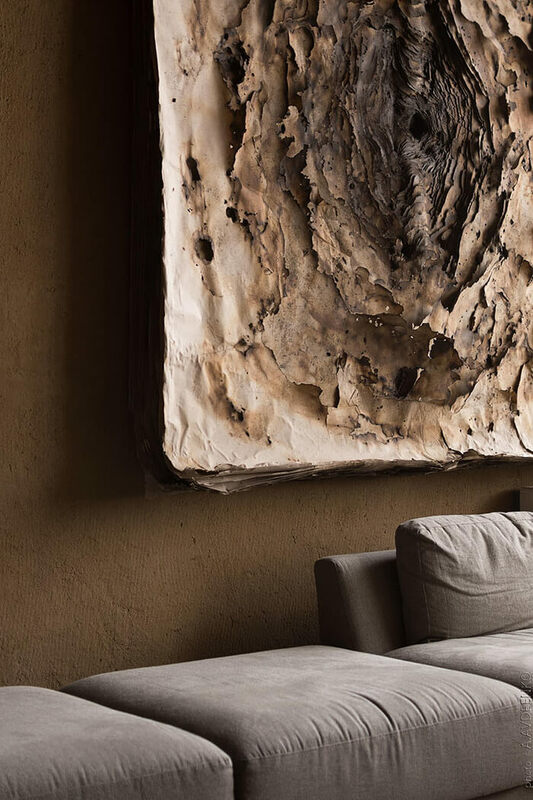 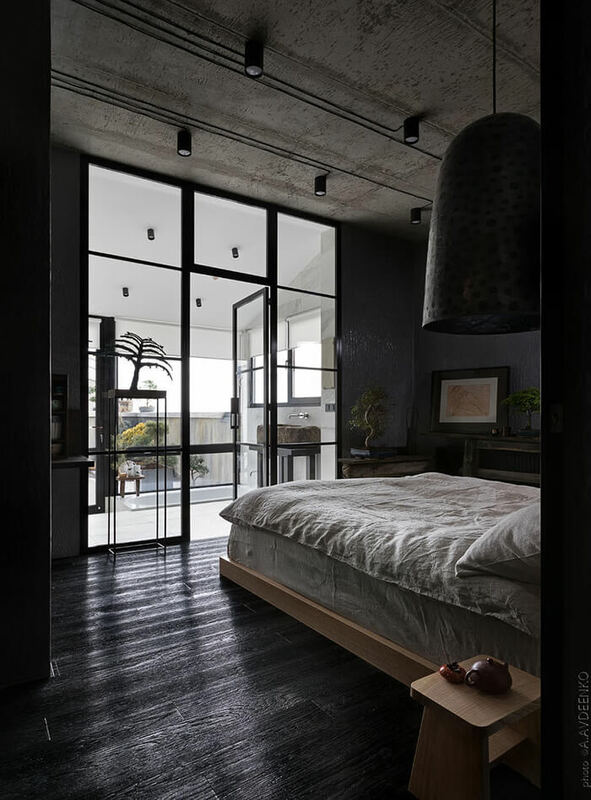 Do you ever wonder how interior designer design their home? 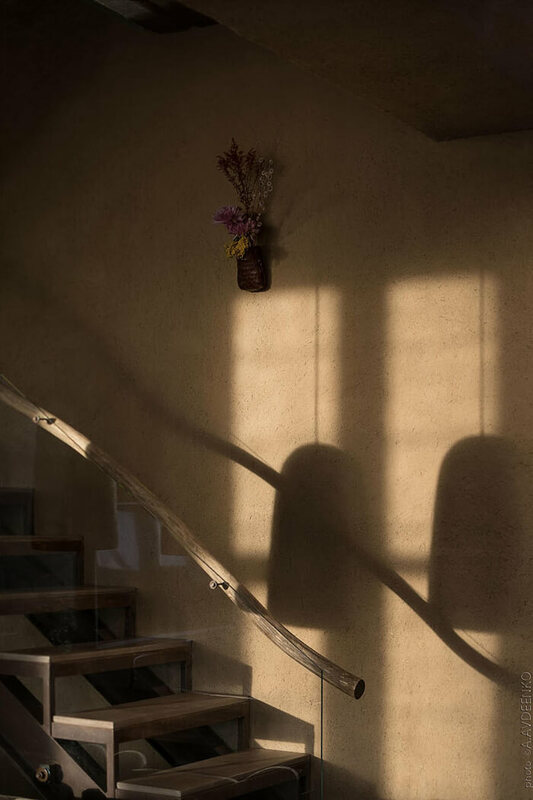 Will they do anything special? 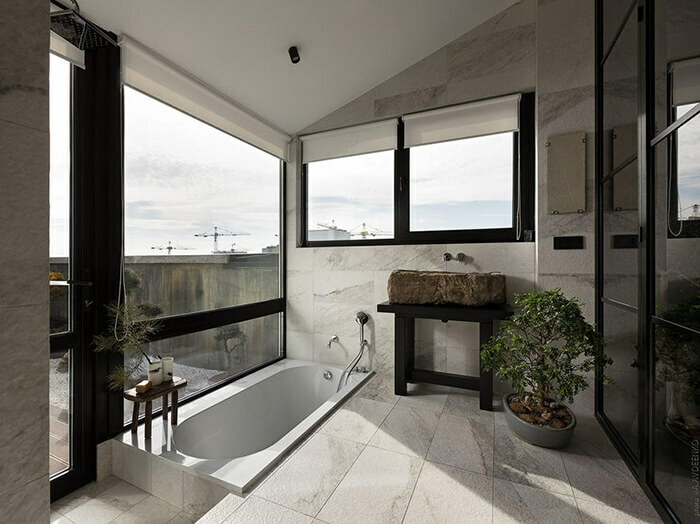 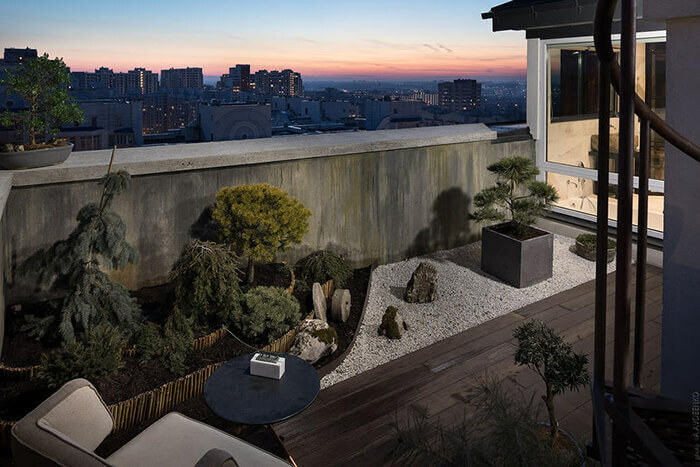 Today, we will take a peek at penthouse Ukrainian architect Sergey Makhno designed for his own family, where he managed to bring together Japanese aesthetics with the tradition of his country. 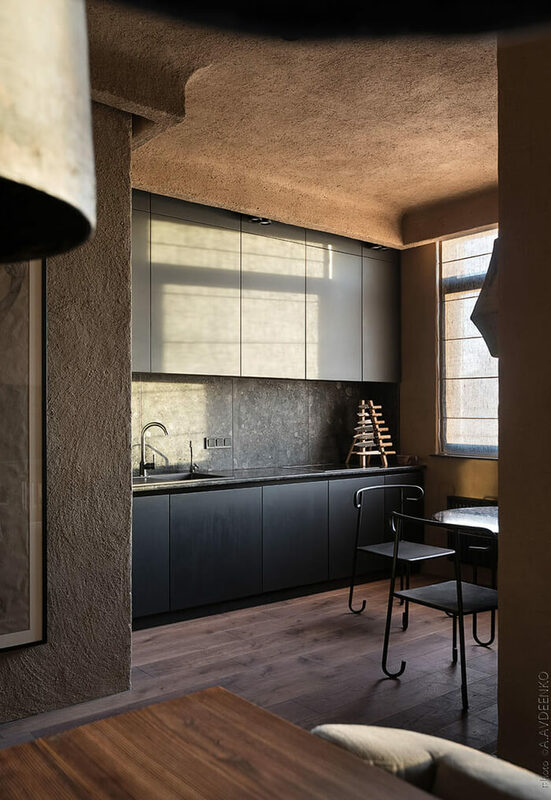 This 195 sqm apartment is designed based on the Japanese concept of wabi-sabi, a philosophy derived from Buddhist teachings that accepts transience and imperfection, and celebrates natural objects and processes. 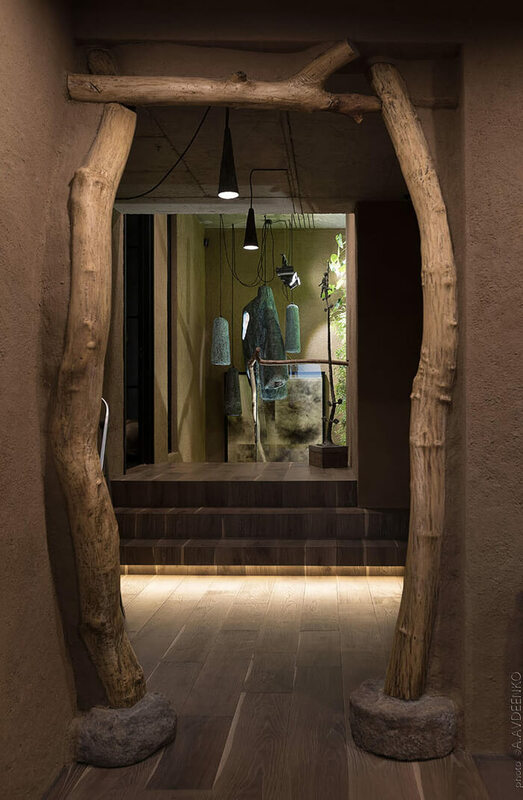 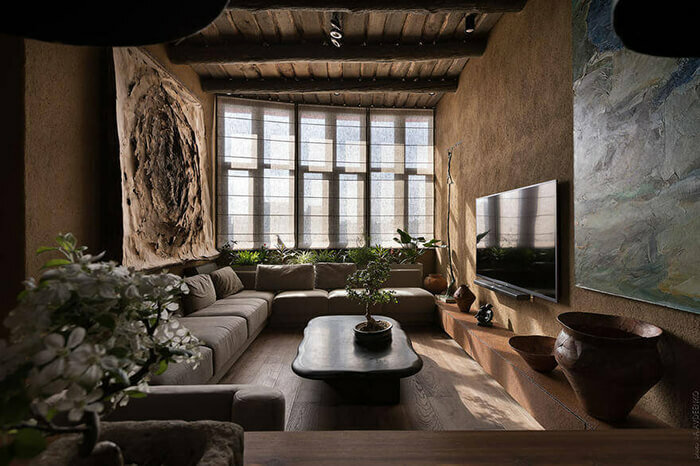 From the photo below we can find, a lot of natural and rough materials are used, such as the clay walls and wooden supporting beams. 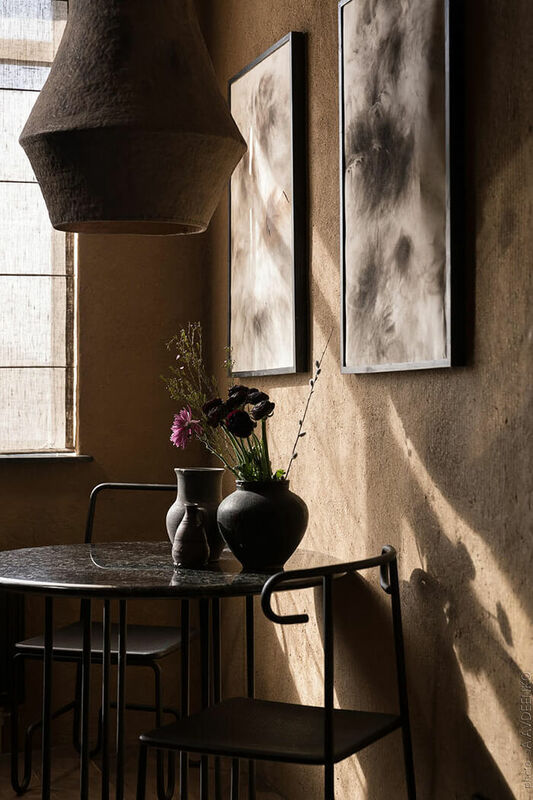 Despite its rural look and feel, the apartment is equipped with contemporary amenities that guarantee comfortable lifestyle for its inhabitants. 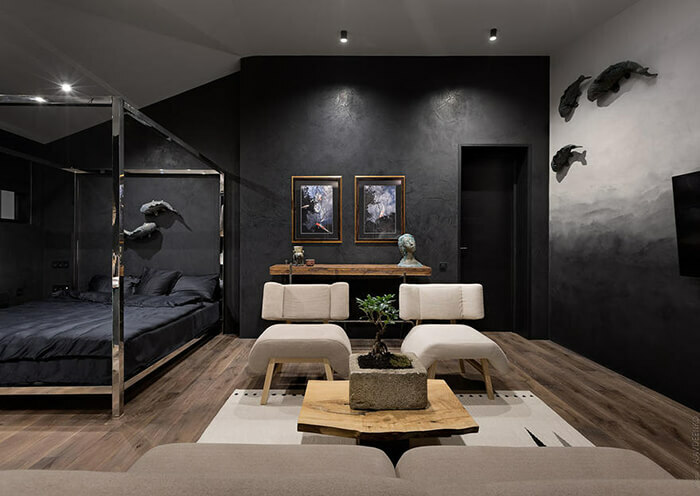 As mentioned in the title, this apartment tries to combine the tradition from both country. 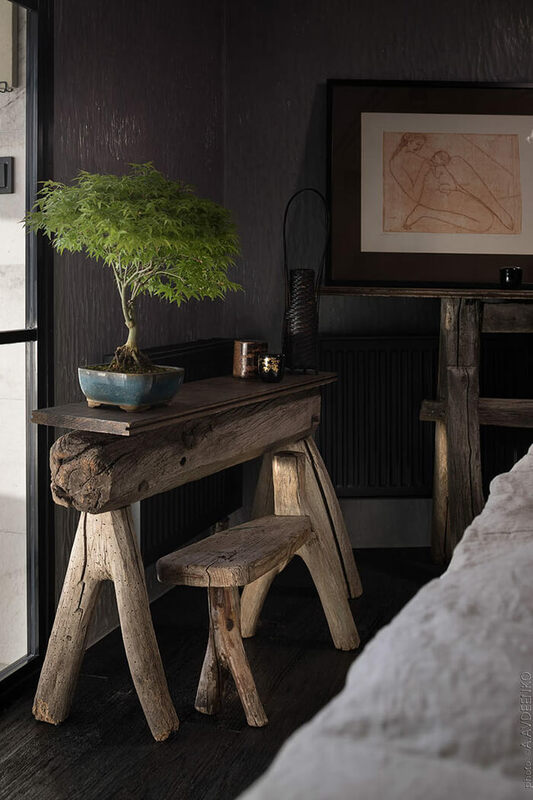 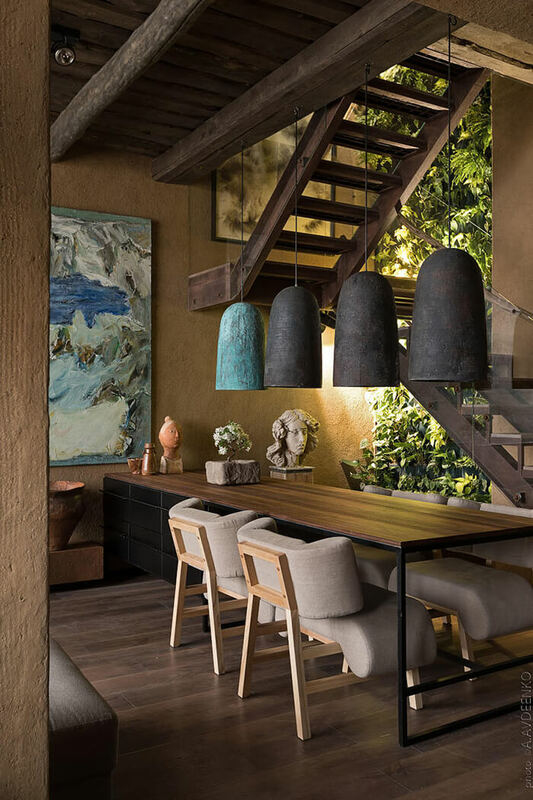 Architect Makhno successfully executes this concept in the room – Bonsai trees and a small roof garden à la japonaise add to the apartment’s oriental character, while traditional woven carpets point to Ukrainian craft and culture. 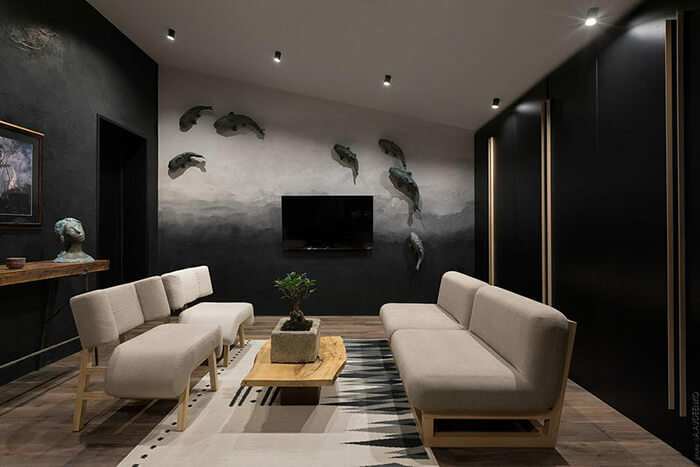 The 3D Koi fish wall art is another beautiful execution, which is really eye-catching elements in the design. 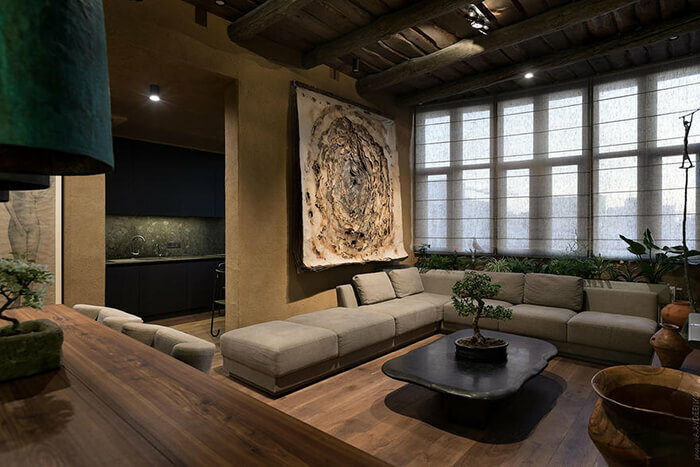 Overall, this is one-of-a-kind home where smoothly incorporate contemporary elements to the overall earthy and natural interior. 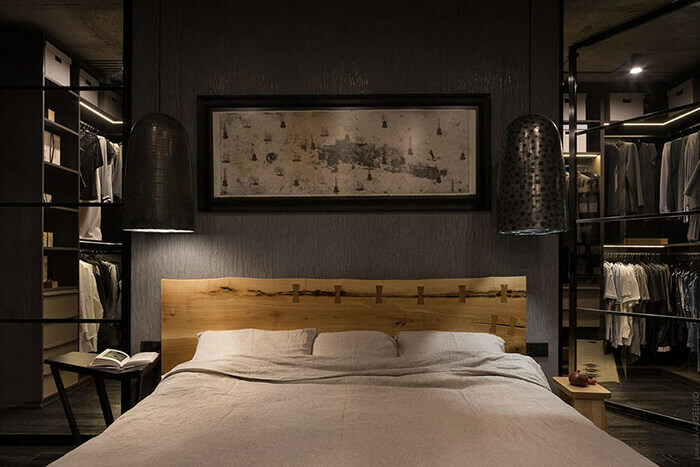 On one hand, the handmade natural materials objects can be seen everywhere while on the other hand, the modern stainless steel bed, kitchen and walkin closet just represents the other kind of the world.